Palestinian Islamic Jihad (PIJ), the second largest terrorist army in Gaza, recently issued a video threat about its willingness to end the three-year truce in place with Israel. "If the Israeli enemy continues its normal game and plays with the lives of the Palestinian people, we will break the cease-fire," PIJ leader Ramadan Shallah says in the video, according to an Algemeiner report. "Don't try to test the resistance," says the video's last message. PIJ remains Iran's favored proxy in the Strip as relations between Tehran and Hamas continue to fluctuate. The Gaza-based Al-Ansar charity, a Palestinian branch of the Iranian Martyrs Foundation, announced May 21 that it would provide financial grants to "families of martyrs" whose relatives were killed between 2002 and 2014. A parallel Iranian funding channel is in place for families of "martyrs" killed in the 2014 conflict with Israel. The Al-Ansar charity is "affiliated with PIJ," according to a report released by the Tel Aviv-based Meir Amit Intelligence and Terrorism Information Center (ITIC). Iran provides PIJ with both "military and financial support," ITIC noted in its report. "PIJ is the preferred organization for Iran, due to the problematic nature of the relationship between Iran and Hamas," ITIC Director Col. (ret.) Reuven Erlich, told the Investigative Project on Terrorism. Although Iran continues to fund Hamas's military wing, relations between Shi'ite Tehran and the Sunni Islamist rulers of Gaza have been unstable since 2012, when the two found themselves on opposite sides of the sectarian war raging in Syria. Thus, Iran does not currently fund Hamas's non-violent operations, including the salaries for tens of thousands of Hamas government employees. In recent days, a Hamas senior official even took the trouble to flatly deny Arabic media reports that Iran had resumed full-scale funding for his regime, describing the claims as "fake news." A snapshot of that support can be seen in the estimated $8.7 million that was transferred from the Iranian Martyrs Foundation to Gaza over the last three years. Not all the money went to families of those killed in conflict with Israel. "We can assume that some of that money also went towards financing groups like PIJ," Erlich said. The Al-Ansar charity is used by the Iranian Martyrs Foundation "as a pipeline to funnel funds into the Gaza Strip, in indirect support of terrorism. The money also serves to increase Iran's influence among the Palestinian people, and sends a message to the Sunni Arab world, that it is Iran which is supporting the Palestinians in their struggle against Israel," the ITIC report said. PIJ is a quarter of the size of Hamas's 20,000 armed operatives, but that did not stop it from having numerous past run-ins and power struggles with Hamas. It remains unclear whether the latest PIJ threat to violate the ceasefire represents a warning of a possible split with Hamas's leadership. "What matters most is the ideological distinction between the PIJ and Hamas," said Ely Karmon, a senior research scholar at the International Institute for Counter-Terrorism in Herzliya. 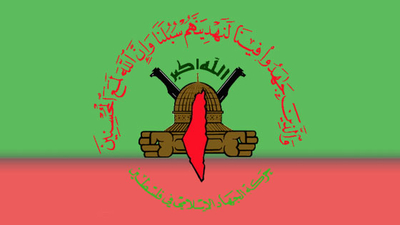 "While Hamas, [which is] the Palestinian Muslim Brotherhood, has a strategic cooperation with Iran, PIJ has a religious affinity with the Khomeinist doctrine and regime, since their [former] leaders Fathi Shaqaqi and 'Abd al-'Aziz 'Odah, from the inception of their group, acknowledged the importance of the Iranian revolution and its influence," Karmon told the IPT. "Sheikh Ahmed Yassin, the Hamas leader, wrote nothing on religious matters (and did not write about any other issues either)," Karmon noted. "Shaqaqi wrote 5 books in which he praised the Iranian revolution." "In this sense, the PIJ is the real proxy of Iran, and not Hamas," he added. It took his successor, Ramadan Abdullah Shallah, who is still the current leader, five years following Shaqaqi's assassination to build up the group's infrastructure, with the aid of "major Iranian financial and military support," Karmon said. "Ironically, Shallah, who spent five years at Durham University [in Britain] writing a thesis on Islamic banking in Jordan, was called to lead the PIJ from the U.S., where he taught at the University of South Florida," Karmon added. When Hamas released a document that represented an update to its policies last month, feigning a softer stance and a willingness to accept a Palestinian state on the 1967 borders, PIJ's response was unequivocal. "As partners with our Hamas brothers in the struggle for liberation, we feel concerned over the document," said Islamic Jihad's deputy leader, Ziad Al-Nakhala. "We are opposed to Hamas's acceptance of a state within the 1967 borders and we think this is a concession which damages our aims," Al-Nakhala said, in comments posted on PIJ's website. Accepting a state on the 1967 borders would "lead to deadlock and can only produce half-solutions," Al-Nakhala added. PIJ, enjoying firm Iranian backing, and lacking all of Hamas's dilemmas of sovereignty, rejects the very idea of a rebranding. It insists on openly advertising its jihadist, Iranian-influenced ideology. Hoisted on Iran's shoulders, PIJ prepares for the next round of fighting with Israel.